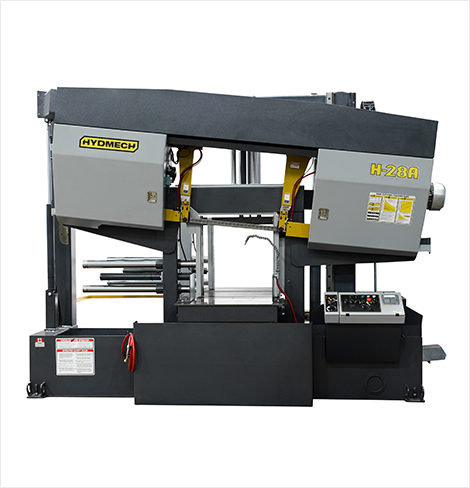 Description: The H-28A is an automatic horizontal band saw providing accurate 90° metal cutting for heavy-duty applications. 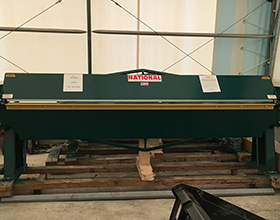 The H-28A is fast, with its high speed shuttle feed indexing up to 32" in a single movement. 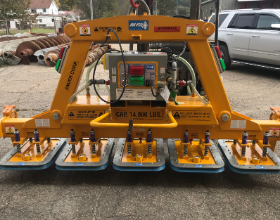 A 5 HP driven hydraulic pump supplies system pressure through three position directional valves controlling all vising, head up/down, blade tension, guide arm, and shuttle movement. 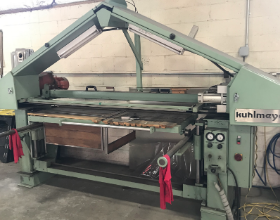 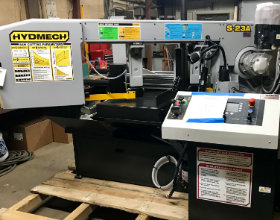 Featuring a 28" x 28" capacity, 10 HP motor, and 2" blade, the H-28A is a reliable choice for all your heavy-duty horizontal metal cutting applications.